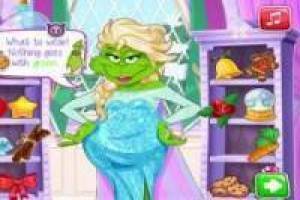 Elsa, the Disney princess protagonist of the movie Frozen, wants to start in the world of potions and we will help you create them. You will have to mix three Christmas ingredients in the cauldron to make a potion. When you have it, our friend Elsa will try it and we will see the effect it makes on her. We will combine the ingredients differently in each play to unlock the twelve different effects of the potions. With these potions we can make Elsa become his sister Anna, in Snow White, in the Grinch of Christmas or in Santa Claus himself. Discover the rest of the effects of Elsa' s Christmas potions. 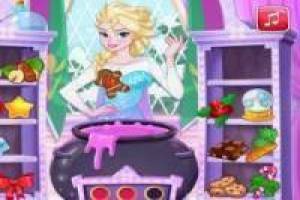 Enjoy the game Elsa: Christmas potions, it's free, it's one of our frozen games we've selected.